Leadenhall Market is a covered market in London, located on Gracechurch Street.It is one of the oldest markets in London, dating from the 14th century, and is located in the historic center of the City of London financial district. The market dates from the 14th century. Originally a meat, game and poultry market, it stands on what was the center of Roman London. 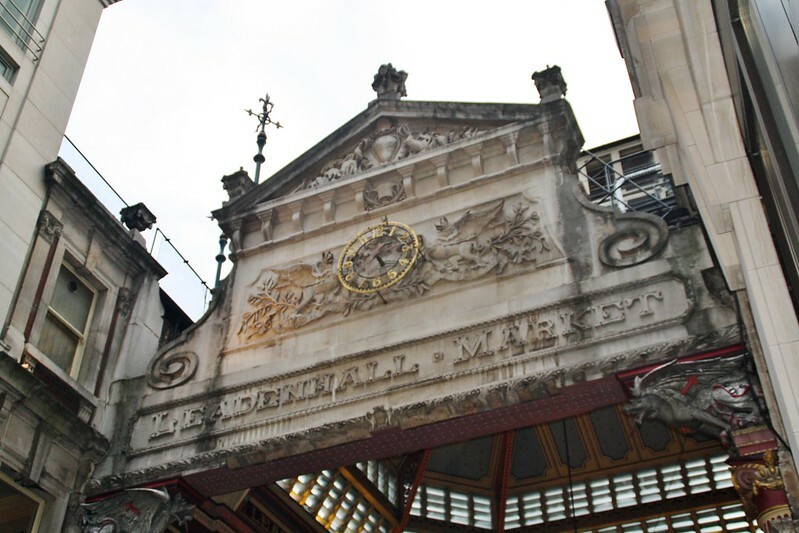 The ornate roof structure, painted green, maroon and cream, and cobbled floors of the current structure, designed in 1881 by Sir Horace Jones (who was also the architect of Billingsgate and Smithfield Markets), make Leadenhall Market a tourist attraction. Image published by chrisinphilly5448 on 2017-08-27 08:10:46 and used under Creative Commons license.